Leah Horowitz was born and raised on Staten Island, home of the Staten Island Ferry, Ralph’s Ices, and the best pizza in New York City. Raised by a speech pathologist mother from West Virginia and a banjo player father from Brooklyn, Leah grew up with no discernable New York accent in a house filled with music and cats. She and her mother were heavily involved in community theater (as actor and costumer, respectively), and spent most of their nights and weekends with show people. When it came time to go to college, Leah thought she’d major in some sort of science – acting seemed too impractical and unstable a profession. An acceptance to NYU’s Tisch School of the Arts changed her mind. Cut to the present, and Leah still sometimes thinks maybe she should’ve been an engineer. Don’t ask her which kind – she just likes the sound of it. However, seven Broadway shows and many regional credits later, Leah has to admit she has done reasonably well. She last appeared on Broadway in the acclaimed revival of Follies as Young Heidi, and, more recently, traveled to Paris to sing the West Side Story Suite for New York City Ballet. She has been seen on TV as a sassy nun in NBC’s The Sound of Music Live, and at Madison Square Garden performing with Phish in their New Years Eve concert (twice!). She has been heard in numerous commercial jingles, including singing “Mm Mm Good!” for Campbell’s Soup. All in all, not a boring life. Leah lives in New Jersey with her husband Matty D Stuart, actor and DJ extraordinaire, and her genius toddler, Penelope. In addition to work, she enjoys reading the latest great novels and then making her friends read them, watching too many TV shows, eating sushi, and staring longingly at puppies in pet store windows. Click here to download Leah's resume. "Sister Sarah is played by Leah Horowitz, a versatile performer who brings operatic precision to the standards "I'll Know" and "If I Were a Bell" and a comedienne's loose-limbed elasticity to her scenes of drunken abandon after she is whisked to Havana by Sky. (In a move worthy of Carol Burnett, Horowitz tries to approximate the moves of a hotsy-totsy Cuban hoofer and winds up upside-down in Sky's arms, her red wool skirt up around her ears, her legs paddling empty space.)" 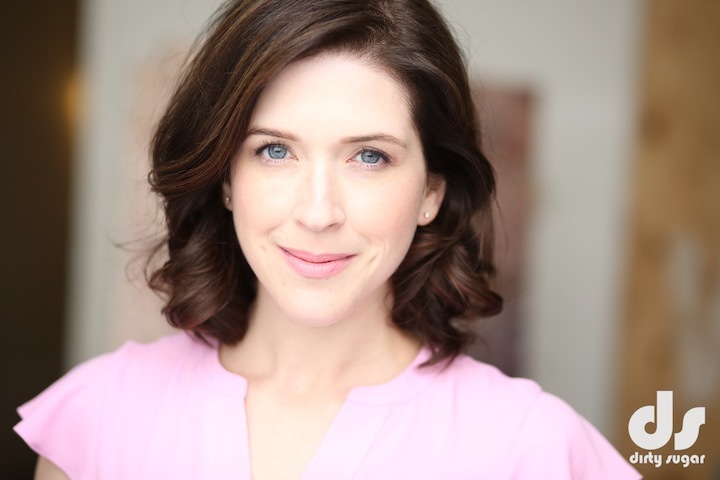 "Also excellent is Leah Horowitz as Sarah Brown, turning her character's alcoholic meltdown into a hilarious, limbs akimbo event. Her loopy rendition of "If I Were a Bell" brings out all the fun of Loesser's foray into the subjunctive mood. Even though her Sarah sobers up when back in Manhattan, Horowitz keeps the charm percolating under the surface." "Beautiful Horowitz, her soprano gorgeous to boot, is perfect as the prim and proper Sarah, who declares she will never fall in love with a gambler but does." 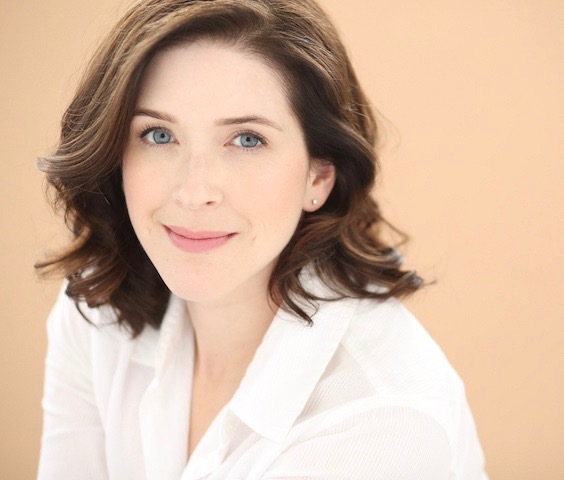 "...the very sheltered mission director Sarah Brown [is] played by the incredible soprano Leah Horowitz. ...her vocals are, in a word, ridiculous. Ridiculously strong that is." " “One More Kiss” by the aging Heidi was stellar with contralto Carol Neblett and her young counterpart from the past, Leah Horowitz. These ladies did a duet together and I and others were moved to tears. It was a hauntingly chilling and breathtakingly beautiful number." "Still-plangent Carol Neblett and crystalline Leah Horowitz are exquisite as old and young Heidi Schiller in “One More Kiss.”"
"Did I mention much of the cast is mirrored by actors playing their younger selves? This works most beautifully when Rosalind Elias and Leah Horowitz perform the light operetta sort of tune "One More Kiss." The elderly Heidi sings gloriously until the young Heidi appears behind her to belt it out even more beautifully. ...It's truly touching on so many levels." 4.4.19 - Beginning tonight, Leah sings four performances of Warren Carlyle’s Jerome Robbins tribute Something to Dance About with the New York City Ballet at the Kennedy Center’s Opera House. The ballet is in an evening of four short pieces, preceded by Justin Peck’s Easy, Robbins’ In The Night, and Kyle Abraham’s The Runaway. The program repeats on April 5th at 7:30pm and April 6th at 1:30pm and 7:30pm - tickets are still available here. 2.10.19 - Leah appeared in the first show of the Encores! season at City Center: Call Me Madam. 7.21.18 - On July 21st, Leah debuted as the singer in Warren Carlyle's new ballet for New York City Ballet, Something to Dance About, at the Saratoga Performing Arts Center (SPAC). The ballet, a tribute to Jerome Robbins, features songs and dances from classic musicals like On The Town, The King and I, Fiddler on the Roof, West Side Story, and more. Leah will get three more performances in this role, this time in NYC at Lincoln Center, this October: on the 11th, 12th, and 13th (click each date for tickets and info). In addition, Leah will be singing "Somewhere" again in the West Side Story Suite twice in October, on the 10th and 13th (click each date for tickets and info). 6.7.18 - Leah was part of a wonderful lab presentation of Marsha Norman and Lucy Simon's The Secret Garden in NYC in June. The fresh and moving take on the beloved musical was directed and choreographed by Warren Carlyle, and is aiming for Broadway in the near future. 4.17.18 - May will be a busy month! First up is another New York City Ballet engagement - Leah will once again be the "Somewhere" soloist in the West Side Story Suite. Dates and times: May 4th at 8pm; May 5th at 2pm; May 8th at 7:30pm; May 20th at 3pm. Click here for tickets and info. Stay tuned for more May news! 7.27.17 - Next month, Leah travels out west to sing with the San Diego Symphony, joining Danny Burstein and Susan Egan in To Life! Celebrating Bock and Harnick on Broadway on August 18th and 19th. Conducted by Rob Fisher, the concert will feature songs from Fiddler on the Roof, She Loves Me, Fiorello, and The Apple Tree. Tickets and info here! 7.12.17 - Last weekend Leah joined NYC Ballet at the Saratoga Performing Arts Center for a gala performance of Thou Swell. It was a beautiful night! Leah returns on July 15th for a 2pm performance. Tickets are still available - click here! 2.10.17 - This past fall, Leah was the female singer in New York City Ballet's Thou Swell, a ballet of Richard Rodgers songs choreographed by Peter Martins and set in a glamorous art deco nightclub. She returns to Lincoln Center at the end of this month for three more performances; the ballet is part of an evening of three short ballets set to Rodgers music. Not to be missed! Tickets and info here. 7.11.16 - Leah just returned from Paris, where she spent a week with New York City Ballet during their three week residency at Théâtre Du Châtelet, singing "Somewhere" in their famous West Side Story Suite. 10.27.15 - Leah is appearing in the NY City Center Gala performances of Annie Get Your Gun, starring Megan Hilty, on October 27th and 28th. 6.2.15 - Leah just spent a week singing wonderful songs cut from Fiddler on the Roof in 92nd St Y's latest Lyrics and Lyricists concert, To Life! Celebrating 50 Years of Fiddler on the Roof with Sheldon Harnick. The concert was narrated by Harnick, directed by Gary Griffin, and conducted by Rob Fisher. 4.1.14 - Find Leah this week in City Center Encores! staging of The Most Happy Fella, opening Wednesday, April 2nd and playing through the 6th. The show is features a cast of 38 and a 38-piece orchestra, and is truly not to be missed! 3.7.14 - Leah was lucky enough to be a part of the Old Globe's NYC Workshop of Bright Star, a new musical by Steve Martin and Edie Brickell. Featuring music from their album "Love Has Come For You", the show has a gorgeous bluegrass score and an original story based on true events. 11.1.13 - Rehearsals are in full swing for The Sound of Music, starring Carrie Underwood, which will air live on NBC on December 5th, featuring Leah as a nun and a guest at the Von Trapp party. 6.7.13 - Leah is in the midst of playing Sarah Brown in a hit production of Guys and Dolls at the Hanna Theatre in Cleveland, OH. Directed by Tony-nominated choreographer and director Dan Knechtges, the show is a co-production between Great Lakes Theater and Playhouse Square, and runs through June 30th. Head over to Press & Media to read Leah's great notices! 2.11.13 - After a busy fall spent planning a wedding and getting married (!! ), Leah is looking forward to her next project - performing in the NY Philharmonic's concert staging of Rodgers and Hammerstein's Carousel! The concert will have 5 performances, February 27th through March 2nd, at Avery Fisher Hall. The concert will also be filmed and, as of now, is scheduled to be shown on PBS on April 26th at 9pm EST. 8.2.12 - And, it's back to CA again! This time, to Sacramento, where Leah will be playing Hodel in Fiddler on the Roof at California Musical Theatre's Music Circus from August 14th through the 19th. 7.23.12 - After a month back in NYC, Leah jetted back to California to spend a wonderful 2 weeks with the Transcendence Theatre Company. She was privileged to be part of the first concert of their inaugural season, Dream the Impossible Dream, in Jack London State Park in Sonoma. 6.10.12 - Leah just returned to New York after another successful run of Follies, this time in Los Angeles at the Ahmanson Theatre. Check out Press & Media for more great mentions for Leah from West Coast critics. 4.10.12 - In February, Leah played Evelyn in the New York City Center Encores! production of Stephen Sondheim's Merrily We Roll Along. In April, Leah rejoined the cast to record an album, now available on Itunes and PS Classics, among other places. Buy it; it's great! 12.2.11 - Follies is a Broadway hit! Check out Press & Media for all the great mentions of Leah's performance. Also, Leah can be heard on the new Follies cast recording, released on 11/29. Check it out (and buy it!) on Itunes, or order the 2-CD set (complete with 52-page full-color booklet). Leah's song, "One More Kiss", is track 6 on Disc 2, and Leah can also be heard on "Beautiful Girls", "Who's That Woman", "Loveland", and "Live, Laugh, Love". 7.7.11 - The Kennedy Center's production of Stephen Sondheim's Follies is coming to the Marriott Marquis Theatre on Broadway, and Leah is thrilled to be reprising her performance as Young Heidi. This will be Leah's fifth show at the Marquis! Previews start August 7th, and the show will have its official opening on September 12th. 3.22.11 - Leah's next appearance will be as Young Heidi in the highly anticipated revival of Stephen Sondheim's Follies, at The Kennedy Center in Washington, D.C.
3.21.11 - Leah just finished her first production with City Center Encores!, Where's Charley? The show received rave reviews! 1.23.11 - Exciting news! Leah has been nominated for a Kevin Kline Award for her portrayal of Magnolia Hawks in the St Louis Muny's 2010 production of Showboat! 11.2.10 - Leah is now appearing in Wallenberg, a new musical, at the White Plains Performing Arts Center. Wallenberg runs until 11/21. 9.19.10 - Leah will be appearing in 8Minute Musicals, part of the New York Musical Theatre Festival, on October 4th and 5th. 7.24.10 - Leah will be playing Magnolia in the St Louis Muny's production of Showboat from August 9th through the 15th. 1.5.10 - Leah appeared as Tessie and understudied the leading role of Betty in White Christmas on Broadway at the Marquis Theatre this past holiday season. It was Leah's fourth time performing at the Marquis! 7.30.09 - Leah was a Street Singer in Leonard Bernstein's MASS with the Baltimore Symphony last year, and the recording is now available on I-tunes, Barnes&Noble.com, and Amazon.com. Listen for Leah as the first female solo on track 19! 7.23.09 - Leah is in rehearsal for Sondheim's Marry Me a Little, running August 13th-29th at the Dorset Theatre Festival in VT.
6.1.09 - Leah recently performed the role of Cosette (for the fourth time!) in Theatre Under the Stars’ production of Les Miserables in Houston, TX.